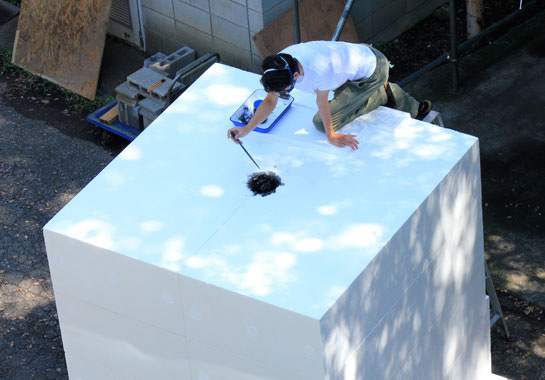 "Takashi Masubuchi from the Tokyo University of the Arts used petroleum based paint products to create his graduation project Drip. 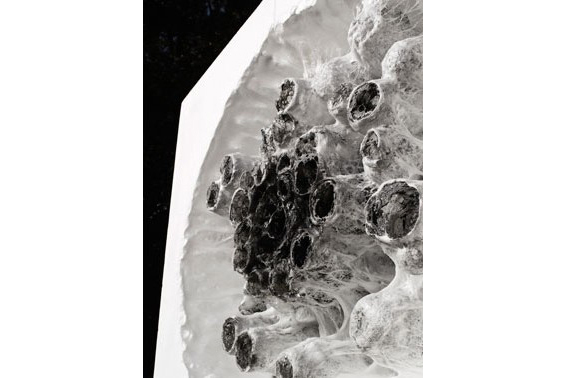 He created this sculpture with a gigantic cube of Styrofoam by slowly and carefully dripping black or white paint onto its surface. 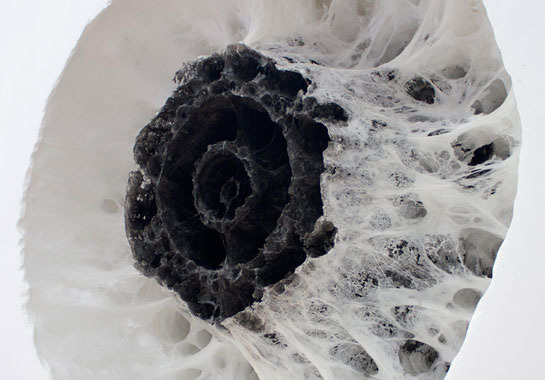 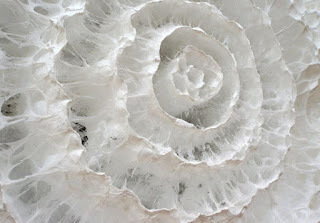 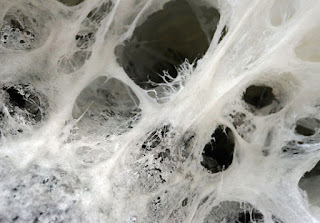 The acidic paint ate its way through the Styrofoam cubes and creates surreal organic forms."